In July of last year, there was a thin trail of purple light that was witnessed streaking across the sky in northern Canada. 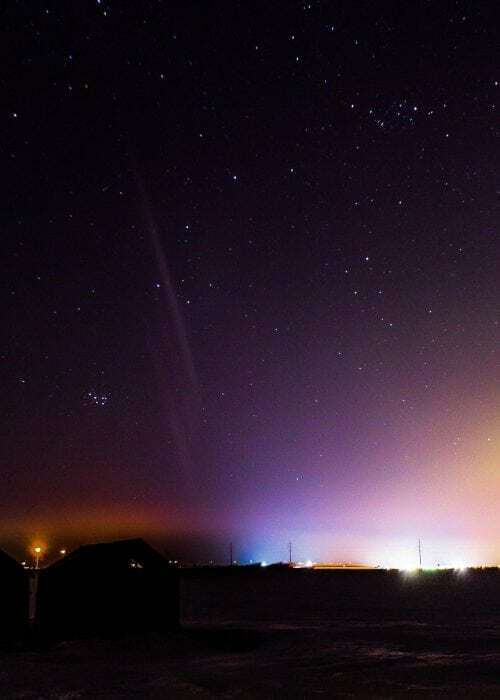 The light appeared to stretch for hundreds of miles and it was believed to be a new form of aurora. 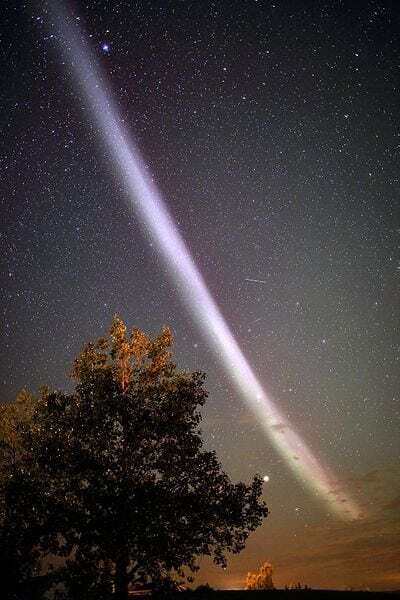 The phenomenon was dubbed Steve by a group of citizens sky watchers. Now, a study done by a group of researchers from both the University of California, Los Angeles and the University of Calgary in Canada imply that Steve isn’t and aurora at all, rather it is a different phenomenon altogether, one that has yet to be explained. The phenomenon called Steve manifested itself along with the aurora borealis, or northern lights. This residence led many to believe that the incident was an extension of the aurora. Aurora’s are created when the Earth’s magnetosphere is perturbed by solar winds. Charged particles in both the magnetosphere and the solar wind, primarily protons and electrons, are carried into the upper atmosphere where the energy is dissipated. The ionization of the atmospheric parts creates displays of light that vary in size, shape, and color. Yet the team of researchers from Calgary and Los Angeles found that the atmospheric conditions responsible for creating the aurora borealis may not be a suitable explanation for Steve’s appearance. The researchers found that Steve doesn’t have the charged particles that auroras possess. This implies that Steve, whatever it is, isn’t an Aurora, but a new phenomenon yet to be adequately explained. The researchers have said that Steve is a “Sky Glow”, not an aurora. A study published in the journal Science Advances this past March decided to keep the moniker Steve for the phenomenon, yet they made it an acronym. STEVE now stands for Strong Thermal Emission Velocity Enhancement. Lead author on the study, Bea Gallardo-Lacourt, explains that Steve isn’t an aurora. Gallardo-Lacourt is an astrophysicist at the University of Calgary and is excited about the discovery because it means a new phenomenon exists to be researched. “Right now, we know very little about it. And that’s the cool thing,” says Gallardo-Lacourt. Sky glows like Steve have been known to skywatchers, photographers, and other citizens of far north latitude for decades now. Yet the phenomenon is difficult to get readings on, so it just entered scientific literature for the first time at the beginning of 2018. The phenomenon was documented thanks to the help of Facebook groups and citizen scientists such as the Alberta Aurora Chasers. Though it appeared along with the northern lights, STEVE has some notable cosmetic differences to the northern lights. 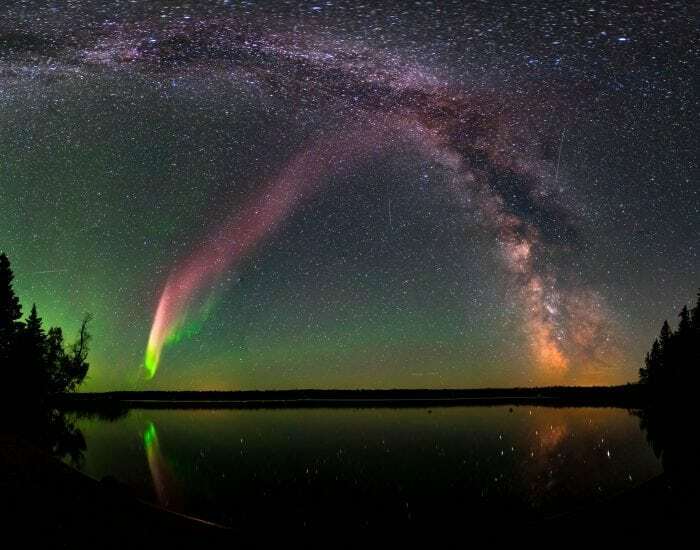 While auroras usually appear in long undulating bands of blue or green (or red depending on the altitude of the phenomenon), incidents of STEVE often show up as long, fairly straight streaks of purple or white lights in the sky. The streaks aren’t very thick compared to aurora events, but they tend to be much longer than the northern lights, often stretching hundreds of miles into the sky, with some estimates finding that STEVE can be around 1000 kilometers (600 miles) long. Strangely enough, not only does STEVE not possess the charged particles typical of auroras, it seems to create opposite atmospheric effects as well. While the air temperature where auroras occur is quite cold, the air surrounding STEVE is actually quite hot. Measurements were taken by a European Space Agency satellite as it passed through the phenomenon back in July 2016. Sensors on the satellite found that there was a band of racing, extremely fast, and incredibly hot gas in the process of cutting a path through the upper atmosphere. Although the event manifested at approximately 300 km, or 200 miles, above the surface of the planet, according to the satellite sensors the air within STEVE was around 3000°C or 5500°F hotter than the air on either side of the column. The river of hot gas was approximately 25 km or 60 miles wide and it moved at a rate that was approximately 500 times faster than the air around it. While instances of STEVE are rare and difficult to measure, this past March scientists were lucky enough to have an occurrence of STEVE happen in Canada that was within the range of sky-based and ground recording devices. Gallardo-Lacourt and colleagues were then able to use this data to gain further insights into the origins and composition of STEVE. The research team combined data gathered by the National Oceanic and Atmospheric Administration’s operational environmental satellites (which orbit the poles) with images taken by a collection of cameras situated at ground-level. The environmental satellites are equipped with devices capable of detecting changes in charged particles concentrations within the Earth’s atmosphere. The satellites didn’t detect any charged particles coming off of STEVE and descending through the atmosphere towards the Earth’s magnetic-field lines. This implies that the processes responsible for creating STEVE aren’t the same as though that create auroras. The authors of the study say that these findings imply that STEVE isn’t an extension of auroras, rather a completely different phenomenon. According to Gallardo-Lacourt, what the new phenomenon is currently “completely unknown”, saying only that the force behind it is a “sky glow” for the sake of having a label to apply to it. The ionosphere extends from roughly 80 to 1000 kilometers (50 to 600 miles) above the Earth’s surface. The authors of the study believe that STEVE is some sort of ionospheric process, but more observations will have to be taken before they can say much more than that. Researchers are currently hoping that more measurements can be taken at different levels of the atmosphere to learn more about what causes STEVE.